Finally, an out of the box cable solution for the ever evolving PROFIBUS network. Device connections are sometimes considered among the least of our concerns on a Profibus network, but if poorly executed, they can prove to be the largest of our problems. As we know Profibus networks can get rather big and busy, especially with the use of repeaters and hubs. Segments begin to look similar and when performing an inspection, one soon begins to ask the question, Have I checked this segment/device cable or not? 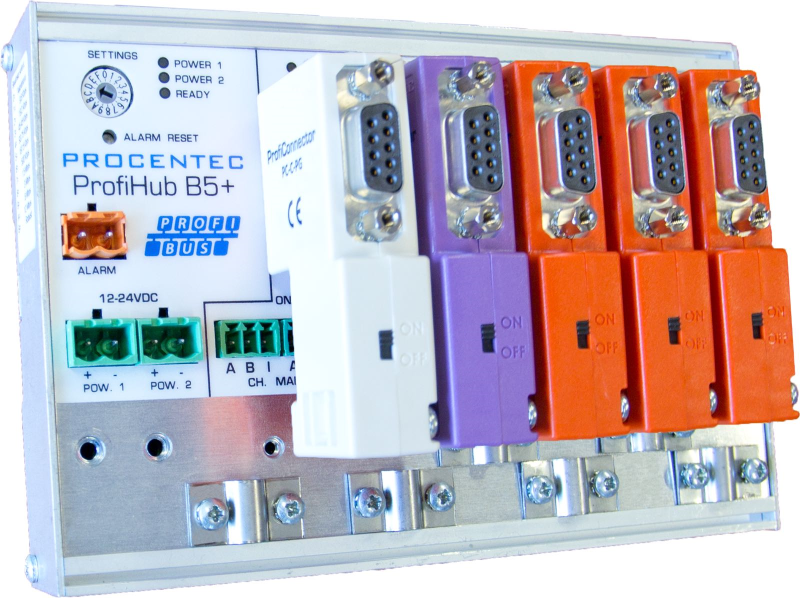 Procentec have found a way to simplify the complexity of a PROFIBUS network, with the ProfiConnector Multi-coloured Plug. You will now be able to highlight your devices and segments, bringing more definition to your network. The creative colour scheme will allow you to maintain uniformity and neatness, thus assisting with speeding up diagnostics and reducing downtime on troubleshooting. There are four combinations of these highly durable and robust plugs: Cage clamp and screw type, with or without PG (Piggy Back) connection. Not only do these plugs form an awareness to differentiate field devices and segment layouts in a PROFIBUS network, they are also perfect for network segregation, ideally on networks with more than one master controller. This original, innovative plug will allow you to get creative with your network. It is highly resilient and able to bare the unforgiving environments that industries have to offer. With all these benefits compressed into one compatible and easy to use plug, it makes decision-making quite straightforward when it comes to selecting the best choice for your PROFIBUS network.